Pencils, Stickers, Business Cards & More! 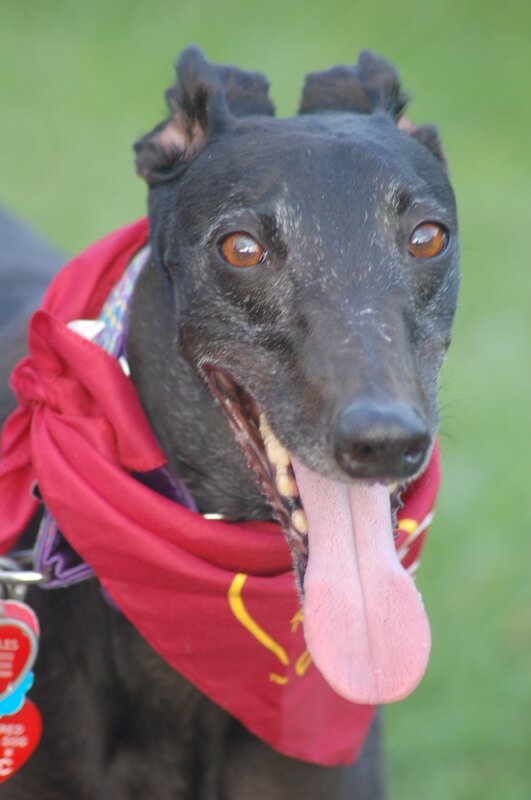 Once upon a time there was a racing greyhound named Jazz. She lived and raced at the track in Birmingham, Alabama. After 81 races and about 5 years, she decided to retire. A very nice lady asked if she would like to go to a women's prison in Florida for a few months. Some of the female inmates had been taught to train dogs. They would teach her to heel and sit and many other commands. 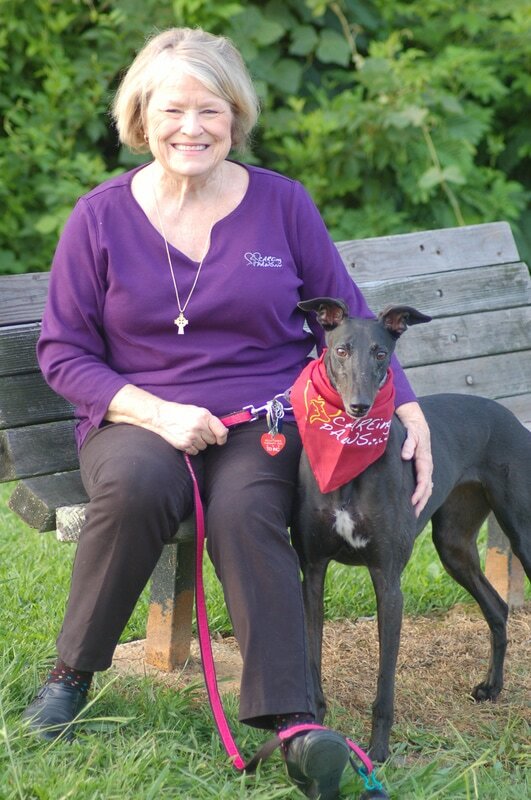 Graduating with "honors", she moved to Atlanta, Georgia to live at Second Chance Greyhounds, a retired racer adoption group. This is where I come in. My husband and I met her one day and decided that she would make a great sister to our other 2 retired racing greyhounds and a very small 16 year old toy poodle. They all get along very well and play and race together in our back yard. Talking to some other greyhound rescue members, I was told about CAREing Paws. They go on visits to schools, nursing homes, airports, hospitals and many other places. This sounded like something that I would like to do, so Jazz and I became a therapy team. We make people smile and hope to raise their spirits when they are in a somewhat stressful situation. 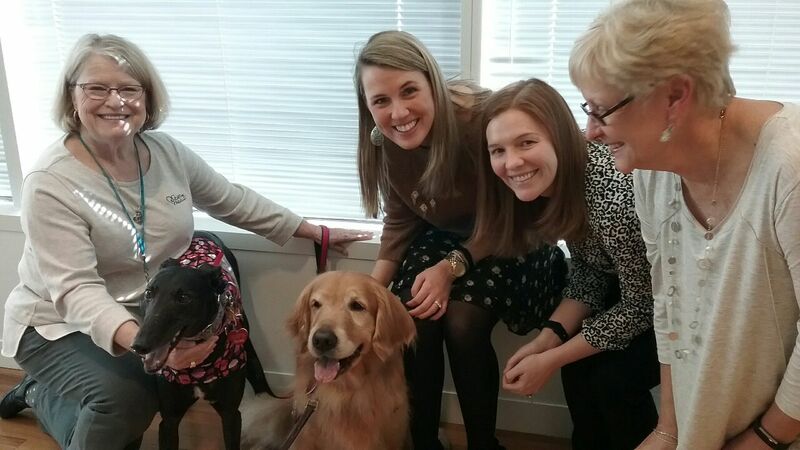 Jazz and I have been a therapy team for over a year now and we both love to go on visits. We have met so many people and received so many smiles. Making people feel good and getting smiles is our objective and if we do say so, we are pretty good at it! © 2013, CAREing Paws, Inc. Protected by US and International Copyright Laws.